We are now carrying Trask Performance at Deadbeat Customs. 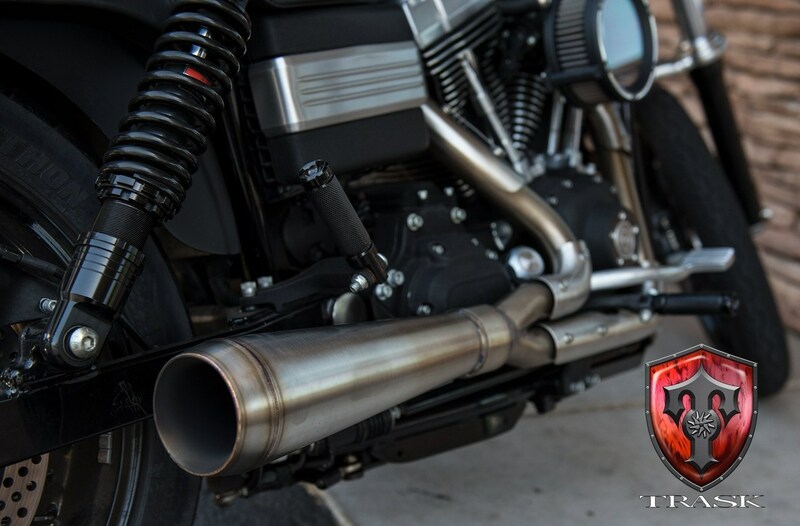 There new 2 into 1 Harley Davidson Exhaust System was designed, developed, and produced right here in the US. This exhaust system is made from the highest quality stainless steel materials,mandrel bent and then tig welded. The pipe is tested and developed on a dynamometer, and is entirely researched, developed and manufactured at Trask’s Phoenix Arizona facility. With gains on a stock H-D V-Twin from 8-10 HP you will be sure to enjoy the smooth, and consistent power-band increase that this Trask Assault Series 2-1 will provide you.